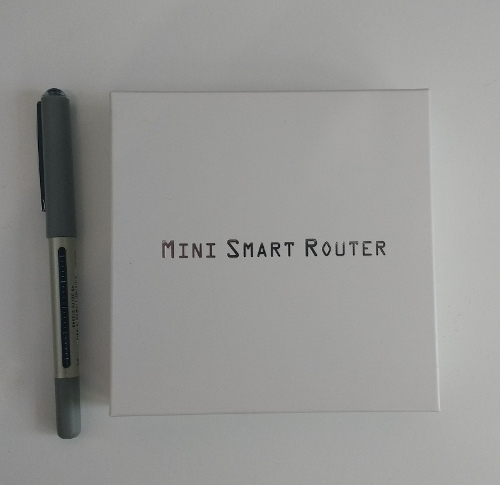 I went and bought a GL-AR150 PoE Mini Router from amazon because I needed a POE capable wifi router for creating private wifi hotspots in a shared office space. It had to be POE capable because there are many powered ethernet cables in the ceilings, and not any power sockets. 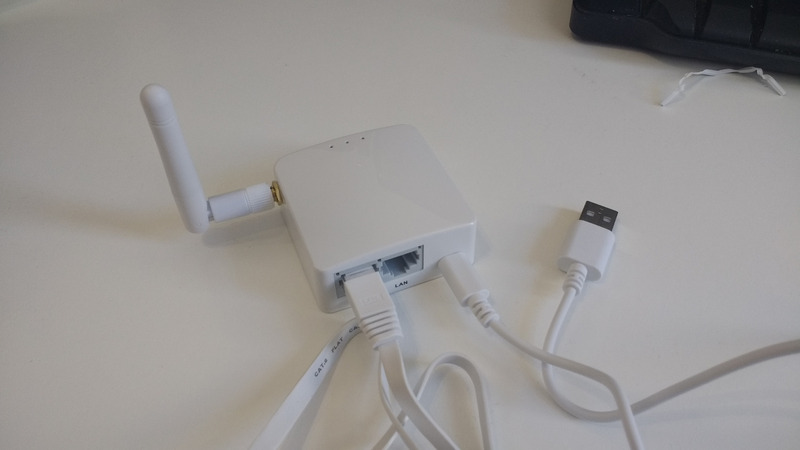 Being powered by the ethernet cable that also provides the WAN connection makes it much easier to deploy the device anywhere you want, which along with the fact that you can install the powerful OpenWRT software on it, makes it seem like a Mr. Robot type of device. 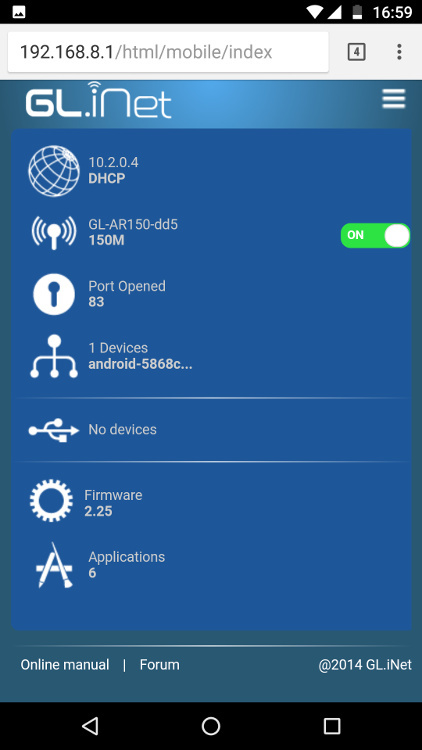 Technically, the device comes out of the box running OpenWRT but it comes with a very simplified and proprietary web UI, so you wouldn't know it just by looking. The device and packaging is pretty tiny (and easy to hide). The packaging and instructions are pretty basic. 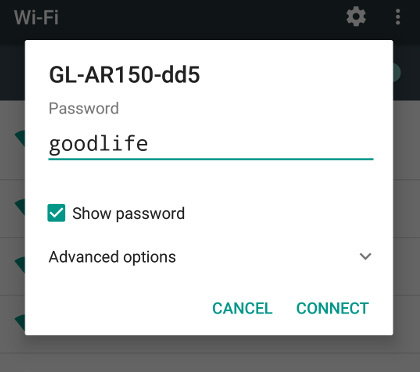 It's so self explanatory, the only thing you need from the instructions is to know that the default IP of the router is 192.168.8.1 when you connect to its wifi signal, and that the default password is goodlife which you will be prompted to change. The entire manual. Seriously, that's all of it. 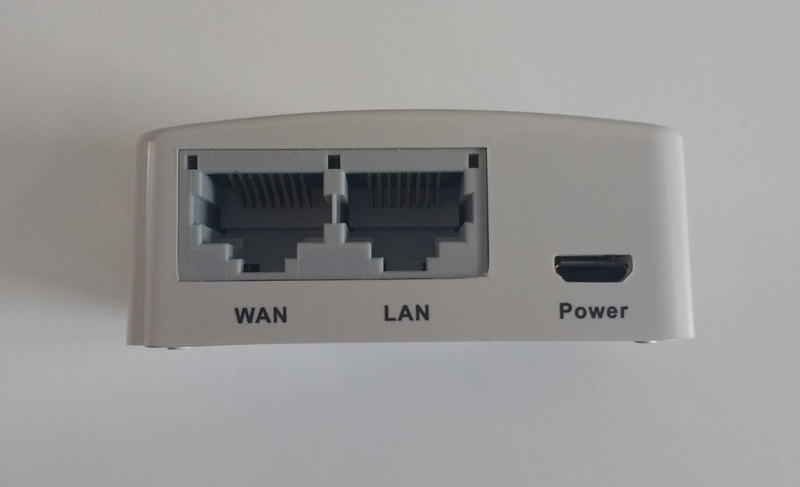 On one side, the router has two RJ45 Ethernet ports and an optional micro-usb power socket which you can use the provided usb cable to power it with. 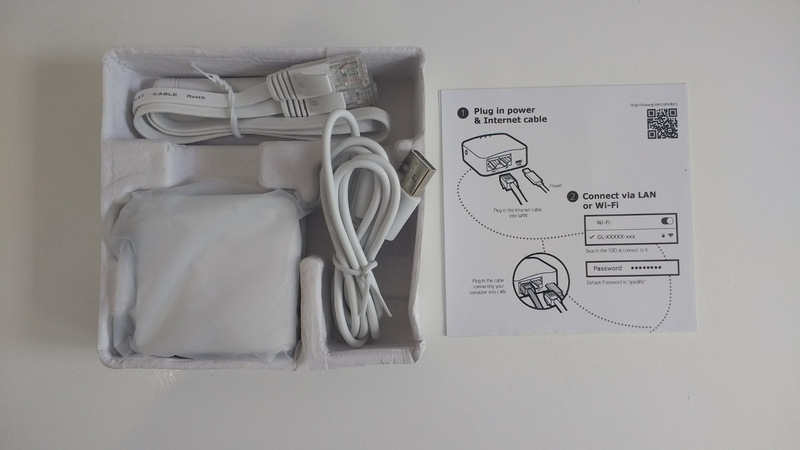 The package does not come with a usb-to-UK-plug adapter, or passive ethernet power injector unfortunately. 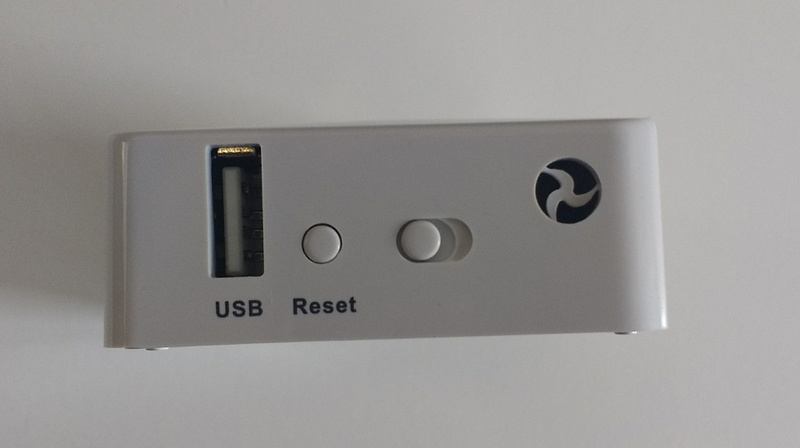 On another side, there is a USB port that you can use to plug in a drive to flash the system, a reset button to reset the device to factory settings, and a switch that I have no clue about. 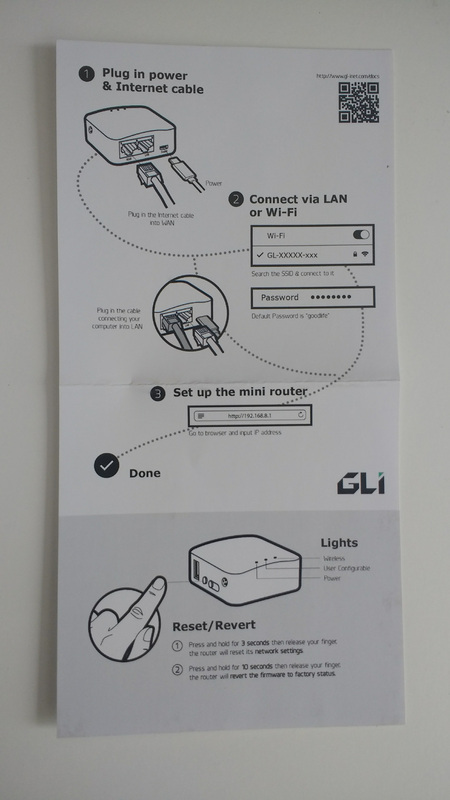 The easiest way to set this device up is to plug an ethernet cable that has an internet connection into the wan port, power the device by plugging in the micro USB cable into the device and a computer, and then connect to the wifi. 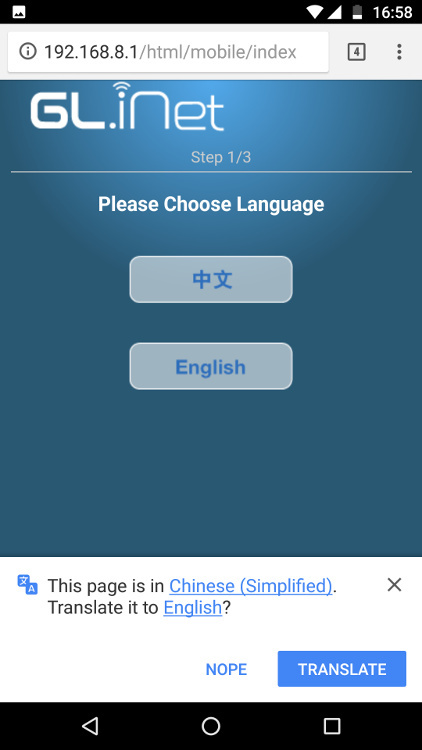 Navigate to 192.168.8.1 and click the button for English. Then choose your timezone. I stuck with the default of UTC. 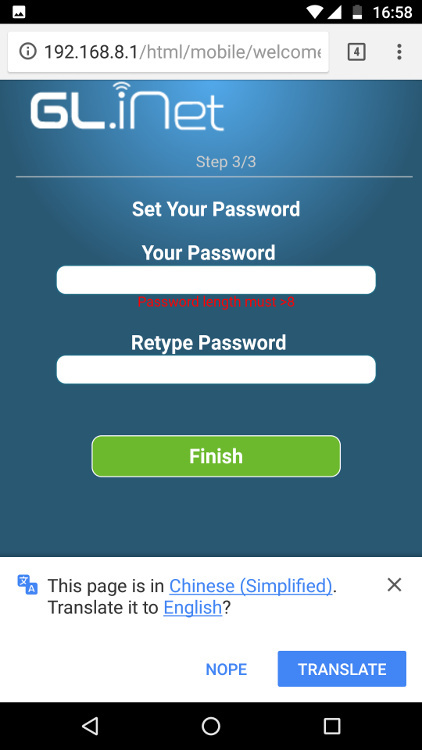 Finally, set a good password. You will need to remember this! After that, you are into the system. 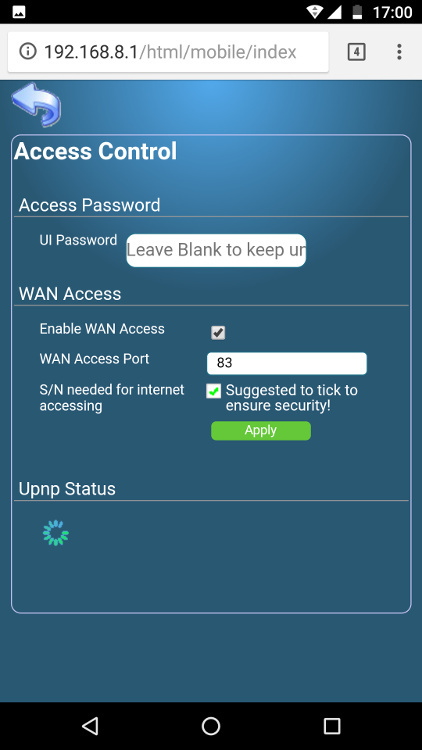 By default, you can also connect to the web UI from outside the router (on the WAN port) if you know it's IP address, and make sure to put the port number of 83 in the url. By default you will have to provide your password and the serial number, but you can disable having to do this. If you feel that this is too insecure, you can just outright block WAN access. 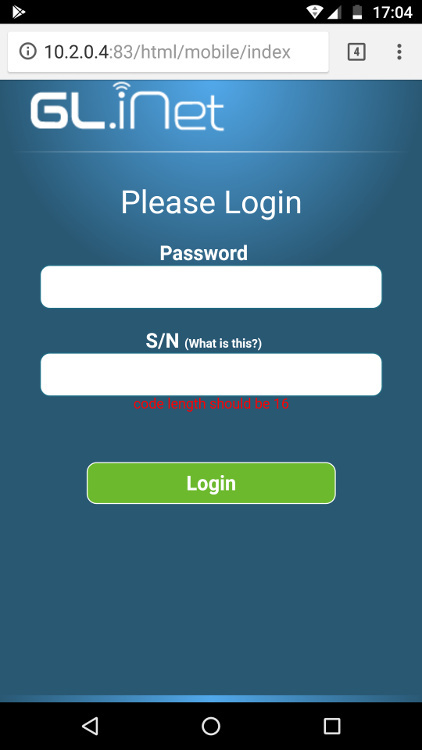 Login screen from WAN interface. The signal strength was actually much better than I was expecting. 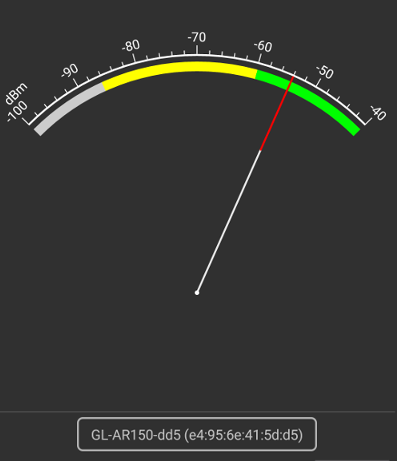 The reading below was taken using the wifi analyzer app on my smartphone standing in my kitchen as far from the router as I could in my 2 bed flat. The signal would have had to go through 4 walls, at a distance of 80 feet or 24 meters. It even outperformed the netgear router I actually use which was closer at the time. Positioning can play a large factor in getting a good signal strength, and because this thing so small, light and able to be powered by the ethernet connection that feeds it data, you could probably put this in an ideal position such as the ceiling of a room. Unfortunately there are no mounting points on the case, but a little bit of Blu Tack would support it easily. 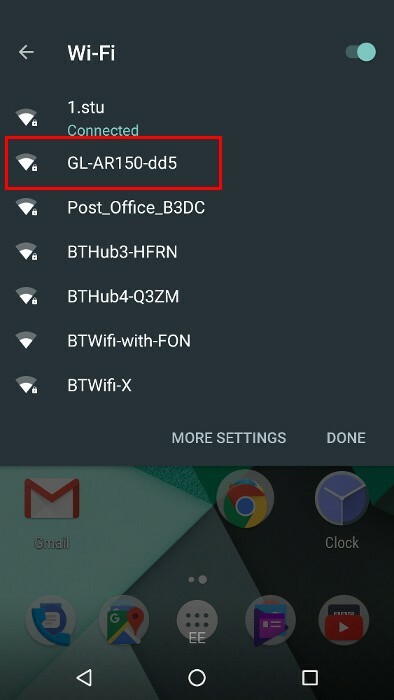 You've setup your router and it's good to go. 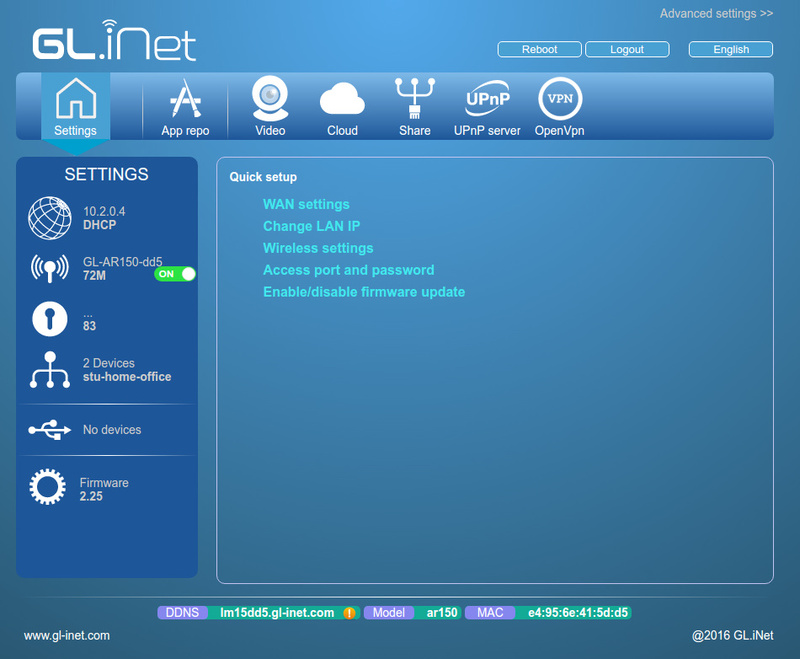 Next time, I'll show you how to upgrade OpenWRT on the device and install the stock web UI insted of having the simplified proprietary interface provided by GL.iNet.